Sending a thank you letter is a no-brainer after an interview. 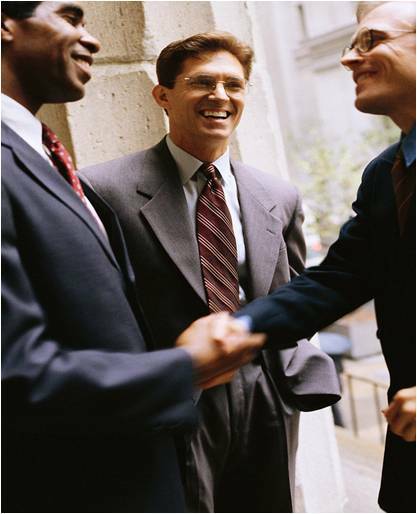 But sending thank you letters or e-mails, or delivering verbal thank you messages are important when networking. I’ll have to admit that I’m guilty of not sending thank you notes to people who send me gifts. But I am better about sending thank you notes or e-mails to people who help me network. As I’m gainfully employed and the nature of my job is about helping others find work, I can’t do it successfully without the help of employers who send me hidden job leads or other jobseekers who know of great opportunities. A great networker I know. One quintessential networking jobseeker I know is someone who has been sending me job leads on a constant basis. So many, in fact, that I have a hard time posting them to our career center’s LinkedIn group. I don’t know if I’ve thanked enough, but he knows who he is. In turn, I’ve tried to help him network. My efforts to help him have not been as profitable as I’d hoped. Many times I’ve driven home to work wondering how my friend has been doing in terms of the job search. He’s been very good about updating his progress, which according to all the pundits is the wisest thing to do. Keep those with whom you’re networking in the loop. This man has a will-not-die attitude, so I am confident he’ll eventually find a job. A small act on my part: One day an acquaintance of mine who was laid off from a large defense company was here for an orientation. He updated me on his occupation and described his previous role at the company. A sharp woman who had switched from recruiting in the high-tech industry to the financial industry came to mind immediately, so I invited him into my office and gave her a call and they talked. Within a couple of days they had an interview planned, and within a week he had a job. I sent her a quick e-mail thanking her for her efforts in finding my acquaintance a job. Why am I grateful for the time she took to interview and fight for my acquaintance? Because she was sincere and completely honest. I’m not stupid to think that she was being philanthropic—after all, it’s her job and she made some good money. All though, in the past she’s been a great friend to the career center by coming to speak about the job search. She wasn’t paid to speak at the career center, nor would she accept lunch from me, so her generous giving of time was much appreciated. Even though a lead might come from the most unlikely source, e.g. perhaps no one in your official network, you still must consider these folks part of the overall equation. What does it matter where you get your help from, as long as you get help? Thank yous all around, I say. This entry was posted in Career Networking, Career Search, Interviewing on April 19, 2011 by Things Career Related.